We here at ATV & Jeep Adventure Tours like to think of ourselves as avid outdoor adventurers, and being only a short 35-minute drive away from Zions National Park, we have spent our fair share of time there. If you are an outdoor adventurer making your way to Zion’s National Park this year we have a few “must do’s” we think you should add to your itinerary. One of the things that makes Zion’s so great is the many hiking trails located in and around the park. Whether you are an avid mountain climber, or someone who prefers more leisurely strolls in the mountains, Zion’s has a hike for you. An easier hike to check out would be the Canyon overlook, it is short and sweet, but provides truly spectacular views. A couple of our other favorites are the Narrows (ranges from moderate to difficult depending on how far you hike) and weeping rock (short trail but has a steeper incline), both of which provide unique water elements that you will for sure want to see! For more details and information on our favorite hikes, check out this blog article. There isn’t much better than sleeping under the stars on a warm summer night. 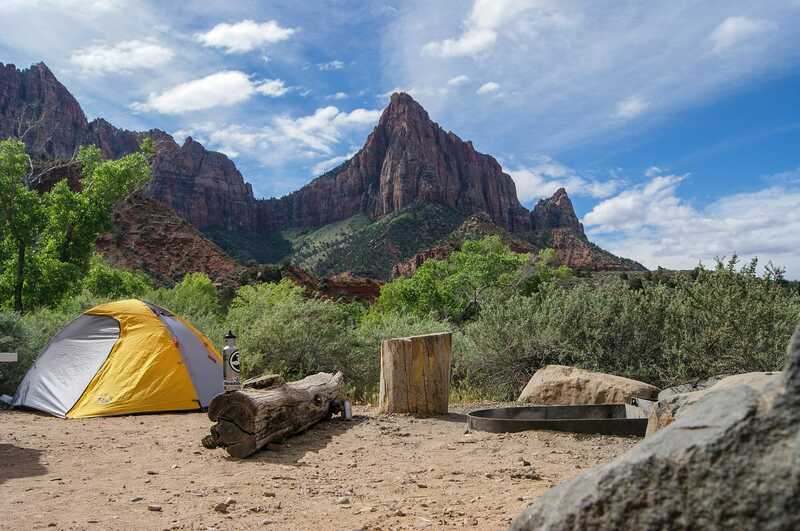 If you like camping out, you will love the astonishing locations the park offers. Most camp sites in and around the park are fairly inexpensive, but they are typically reserved about six months in advance. Check out this listing of some of the available camp sites here. Riding a horse through the great canyons of Zion’s National Park provides a type of tranquil nostalgia reminiscent of an old western movie. There is something about riding horseback through the park that we just can’t seem to put into words. It is a great activity for the whole family and is an excellent way to unplug from technology for a while. Let’s be honest, the best vacations are the vacations that are meticulously planned around food. When it comes time to eat we have a few places to recommend. If you like a casual more laid-back environment we suggest The Flying Monkey, they have a large selection of beer on tap, fantastic brick-oven fired pizzas and breads, and we highly recommend the hummus (seriously, this is one of those musts). If you are looking for something a little more upscale be sure to get a steak at the Anasazi grill. Be careful though, they cook everything on lava rock which might just spoil regular grill cooking for you. For more restaurant suggestions click here. A Van tour is an excellent way to keep the adventure going after a morning hike. You get to relax in an air-conditioned 4×4 van while an experienced guide takes you to awe inspiring locations that many locals aren’t even aware are in their back yard. These tours are jam packed with Petroglyphs, geological wonders, historical sites, and even dinosaur tracks. These tours can take nine people per van so they are a perfect family friendly adventure. For more information on Van tours click here. We wish you luck on your next Zion’s adventure and hope you enjoy our suggestions. If you know of a Zion’s must that we didn’t include, be sure to mention it in the comments!